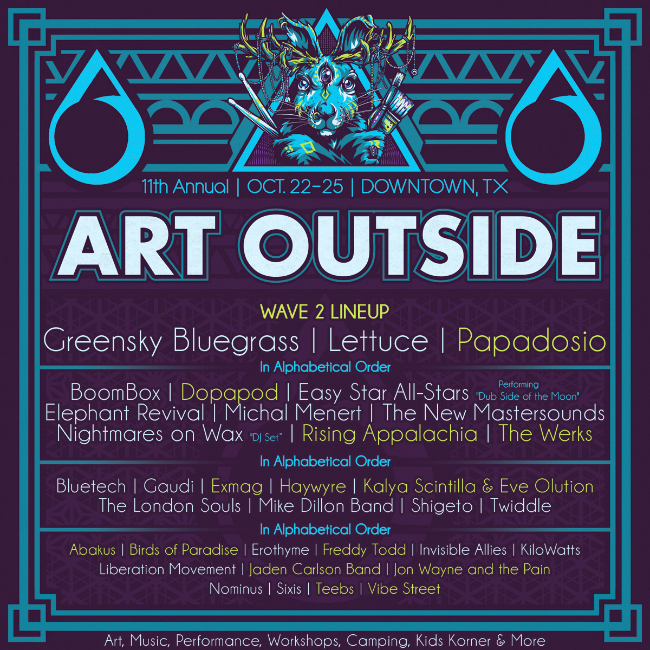 The 11th annual Art Outside is set to take place October 22nd – 25th at Apache Pass in Rockdale, TX. Four stages & numerous tents will be set across a lush 100 acre pecan grove and will showcase a weekend full of Art, Music, Performance, Workshops and more. 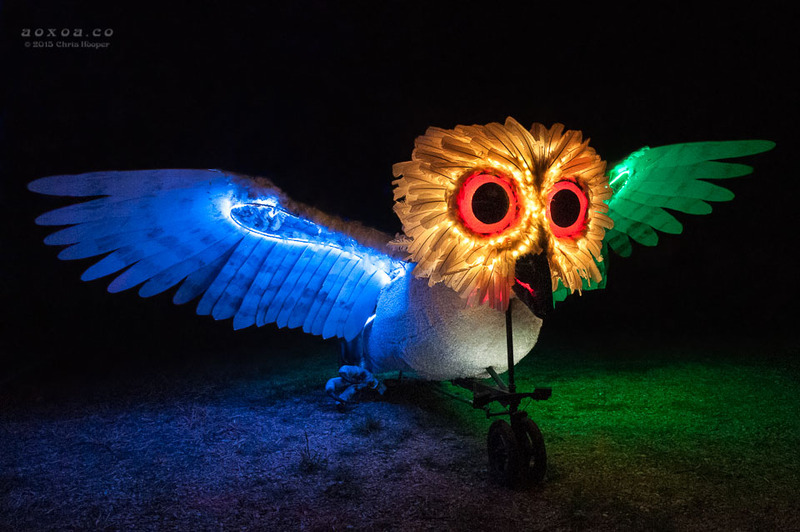 A pinnacle event amongst many artists, Art Outside encourages a communal atmosphere of exploration & provides a glimpse at the power of our unlimited human imagination. This event is truly so much more than a typical music & arts festival. Bottom line: this event is a spectacle to behold. 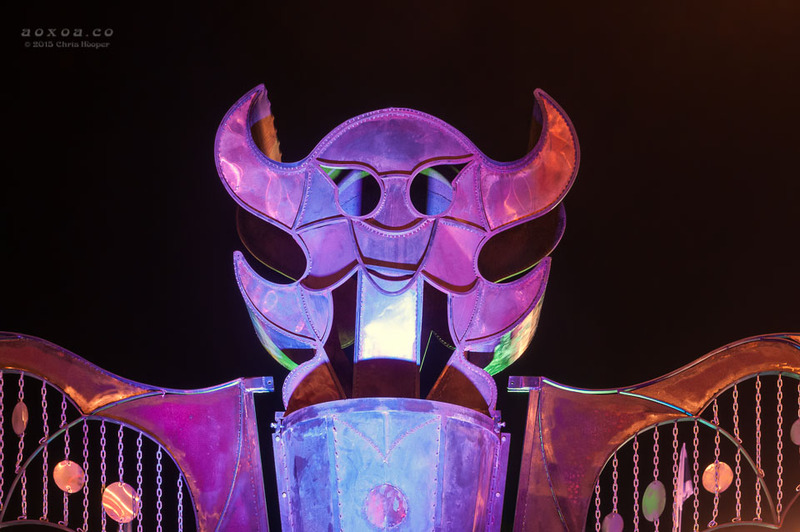 The music is diverse, performances are top notch and the ART is everywhere. One of the acrobatic performers of Quixotic. Ishani Ishaya of BellyAscenDance performs with Quixotic. 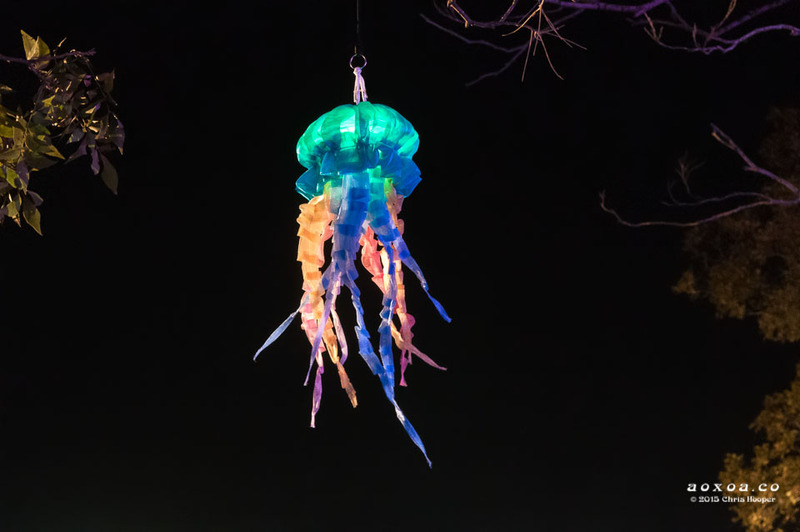 A grove of trees at Art Outside 2014 had many of these great Jellyfish by Sue Donim. 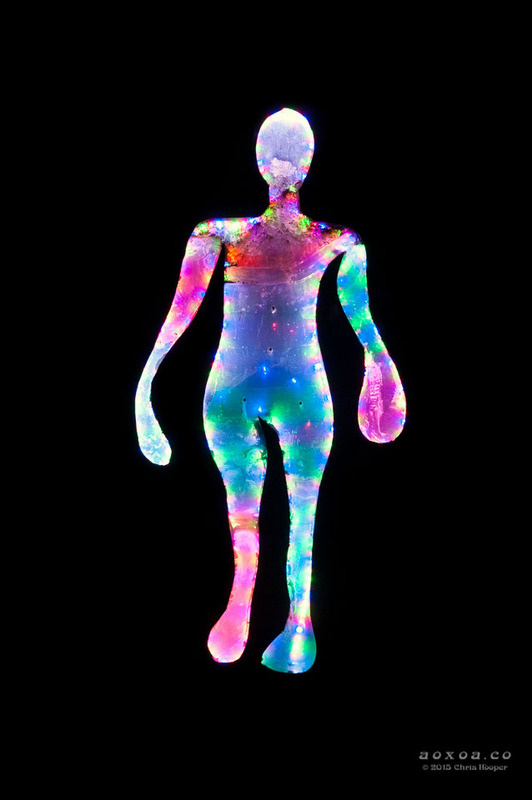 LED and fabric installation at Art Outside. Tickets will be available online at http://artoutside.org/tickets/. Art Outside is a family friendly event. Children 12 & younger are admitted free of charge with an accompanying guardian. Stay connected with the latest Art Outside updates on Twitter and on Facebook.